Usually when I hear stories of forgiveness, it ends with apologies and subsequent reconciliation. One of my favorite quotes, however, is “life becomes easier when you learn to accept an apology you never got”. More often than not, that’s been the story of my life, and an all too frequent tale of people I encounter. When I hear the nicely wrapped up story of forgiveness, I imagine that forgiveness is as easy as a decision; like a magic wand, it eradicates the deep-seated hurt and restores relationship instantly. But forgiveness is not always so smooth, and the toughest cases require more than the “decision” to forgive, but also requires the “work” of forgiveness. Take for example the story of my friend Katrelle Scott. Although Katrelle grew up with her father, he was an absentee dad. For reasons she couldn’t fully understand, he was never warm or open towards her and her sister, even if he was friendly and warm to others. To make matters worst, his addictions to drugs caused him to make selfish decisions, choosing his habit over his heritage. Katrelle recalls, “I remember one day he sold our bikes in front of our face just so he could buy more stuff.” After losing her mother at 18, Katrelle felt she was left with a parent who was not concerned for her wellbeing. She felt the burden of ensuring her and her four siblings’ success without guidance. After enduring a scary pregnancy and lonely marriage, Katrelle expressed she felt she really needed a father, a protector, and defender. At 34 years old, Katrelle reflects on her life with her father and notes that while she is still in contact with him, there has been no change in their relationship. Yet she chooses to forgive him. 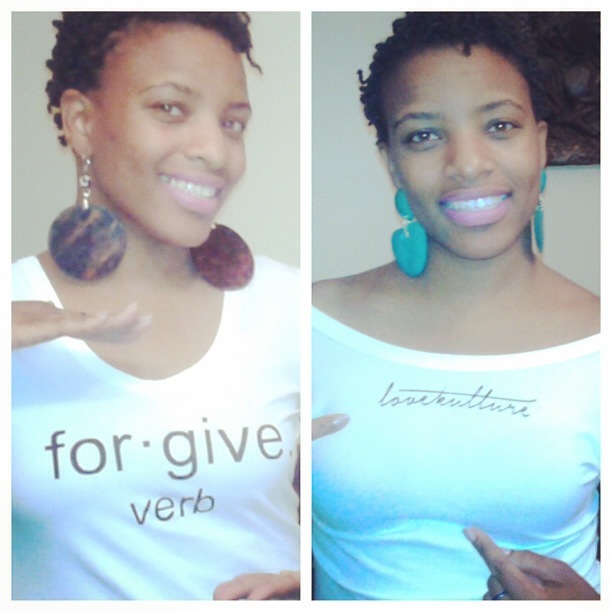 Here are some suggestions that came from my interview with Katrelle about her process of forgiveness. Write down what why you’re angry. Sometimes writing helps us cope with the negative feelings so we can think through the facts. If writing isn’t your thing, verbal prayer also helps or you can choose to share with a very trusted friend who is a good listener (key word: listener). Identify who you need to forgive. Many of us are walking around ticked off at someone, but blaming others. Even if the act was unintentional, it is helpful for all of our relationships to identify who we’re really mad at, whether it’s Billy, God, or yourself. Once you know, you can deal with it. It’s okay to hurt. This was the most profound moment for me. Forgiving someone doesn’t mean that you are no longer hurt by the offense, but it does mean we do not give others power over us or the power to continue to hurt us in the way they have. When Jesus hung on the cross, I’m sure he felt pain beyond those from his lashings, but our offense did not cause him to waver. Following Jesus’ example we are encouraged to overcome evil with good, and yes, even while it hurts. Trust God. Katrelle says she knows she has forgiven her father because she can sleep at night. She encourages that we shouldn’t hold anyone in contempt or seek revenge. Sometimes unforgiveness is a sign that we are not trusting God. As someone very dear to me once said, “only God knows hearts,” so only God knows the end. Pray for them. It seems to be a tested and proven wisdom that it is better to wish peace for those whose actions have threatened your peace. When we pray for others we free ourselves from the temptation to be bitter. Katrelle prays for her father’s peace, joy, growth, and her strength to love him. While contemplating some of my broken relationships, I began to think deeply of whether or not I have forgiven these individuals. I used to think that forgiveness required relationship, but I have learned over time that while forgiveness makes room for a growing relationship, it does not require it. Forgiveness is about releasing others from their debts. I have found it much easier to release others when I realize and understand that they are incapable of paying me back. In fact, we’re all in debt; we cannot cover what any of us owes. But what we do owe one another is to exercise patience, make room for better outcomes, practice humility, and let it go. This is called love. And love is always the better option.